Welcome to Trade-Show-Advisor.com! This knowledge base for trade show success is designed to help you benefit from all aspects of exhibit participation. Exhibiting at targeted shows provides a significant opportunity to enhance brand visibility, promote new and existing products, generate leads, and drive incremental sales. Trade show participation also enables you to stay on top of the latest industry trends, gain competitor insights, make key industry contacts, and further solidify relationships with current customers. The articles and resources on Trade-Show-Advisor.com are designed to help business owners, marketers and exhibitors leverage all aspects of show involvement for optimal trade show success. 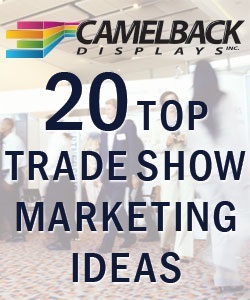 Identify the most opportunistic trade shows that will get your company and products in front of large numbers of potential buyers. Strategically selecting the right shows is the first step in fully leveraging the impact of your resources, time and use of trade show exhibits. 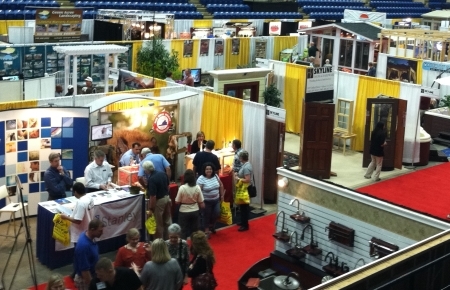 Evaluate booth sizes, available locations, and rental fees for the shows you are interested in attending. Consider logistical needs and travel costs, as well. 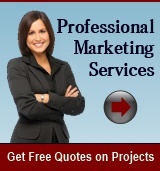 These factors will help determine the best options for your marketing and budgetary needs. Learn about different types of trade show exhibits and that match your show needs and marketing budget. This includes styles ranging from pop up displays and tabletop styles to tension fabric trade show displays, truss exhibits, and custom-built systems. Enhance appeal and function with striking graphics, banner stands, booth accessories, lighting, and fixtures. Just like selecting the right shoes to go with a well-made business suit, having the right booth elements add polish to your exhibit design. An effective exhibit will reinforce your brand positioning, resonate with your audiences, and reflect your key messages. Discover unique booth ideas that create buzz at the show venue and attract more prospects to your exhibition stand. These traffic generators range from visitor experiences to arresting visuals and innovative technology in your exhibit area. You also will gain insight into selecting appropriate giveaways or promotional products that have high-perceived value and complement your company image. Put into action powerful marketing initiatives before, during, and after the event that engage potential buyers and generate sales. This includes ensuring team members who are staffing your trade show booth are well-trained to represent your company and sell to potential buyers. 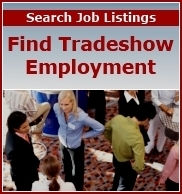 For those looking to work in the trade show industry, there's a customized job search tool to help you find trade show employment. Search any time by title or keyword and location for job openings that match your skills. The information and resources provided on this site are designed to be practical and instructive to help you maximize trade show success. If there is other exhibiting-related information you would like to see on this site, please contact us and share your input. Find suppliers, resources and contacts in this directory to enhance your effectiveness at trade shows. Categories include exhibit display suppliers, promotional giveaways, booth attractions, marketing tools, and more. If you are looking for help with event planning, displays, promotional items, direct mail, mailing lists and more to support your trade show needs, benefit from this time-saving resource that enables you to get free quotes on trade show marketing services at no obligation. Enhance trade show success by tapping the resources provided by trade show organizations around the world. When you join an industry association, you have access to a wealth of resources, research, contacts, trend information and more. Add impact to your trade show display and exhibit graphics with stunning aerial images or video. Hire award-winnng drone photographer Bob Sowder to capture aerials of your company headquarters, properties, events, and more. FAA licensed and insured. Visit SowderDronePhotography.com for more information. Find tradeshow jobs that match your experience and desired location through Zip Recruiter's extensive employment database. Do you have a great tip that enhanced your exhibiting results? Share it here! What works for you might help others. If you work in the trade show business, share your insights on the challenges and opportunities facing the industry.